"We don't usually stop here, but…" That's always an ominous thing to hear while on a train ride. 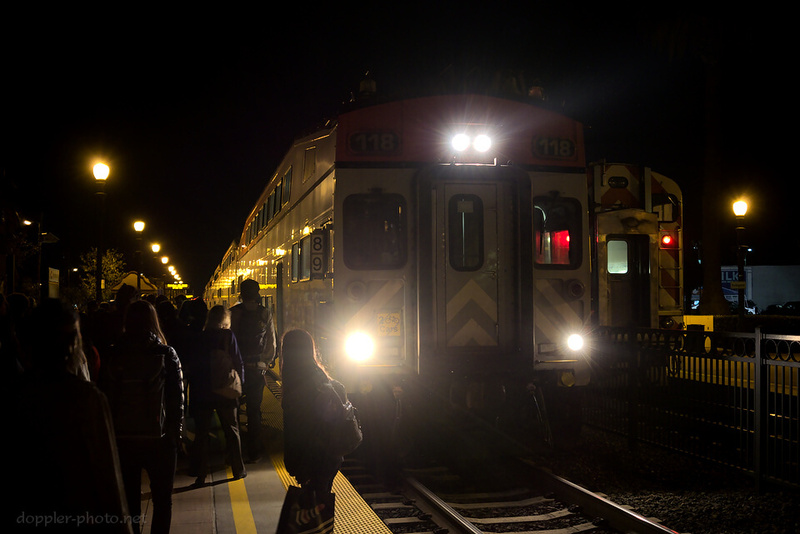 As one of the conductors made some non-committal statements about how something had just happened, and that we'd be stopped at Burlingame for a short while, some of the passengers had already assumed the worst — they started gathering their belongings, contacting ride sharing services, and generally trying to find other ways to continue traveling up the peninsula. They were right. A few moments later, the speakers crackled to life. For some of us, the words "trespasser incident," said what the other passengers had already presumed. A few moments later, the wording became clearer. "Fatality." "Looks like it'll be more than a little while." Many of the remaining passengers disembarked at that point. The conductors were already outside, standing at the north end of the train, chatting with the engineer. I asked one conductor and she replied that both northbound and southbound trains were stopped, at which point my traveling companion and I decided to scrub our trip to San Francisco and go for a walk. When we returned, our train was gone. That, combined with the quiet around the station, was eery. The trackside monitors stubbornly and steadfastly displayed the current time in a shade of yellow that nearly matched the streetlamps. It's always comforting to see them flick over to the expected arrival times, but those were clearly on hiatus. Lacking any other kinds of guidance, we sat next to the southbound tracks and waited. After a short while, a southbound train approached, #284. We rose to meet it as it came to a stop, but a rush of passengers emerged from the doors as they opened. They said that everyone was getting off and that we should all head to the opposite platform and wait. It turned out that this train (on the far side, in the photo) was the one that had struck the person, and it was finally letting passengers off before it would continue south, out of service. Another train arrived before we were able to cross, but it was headed northbound (the near side train, in the photo, #289). As we waited, I talked with a few of the passengers and learned that the on-duty crew is relieved immediately. 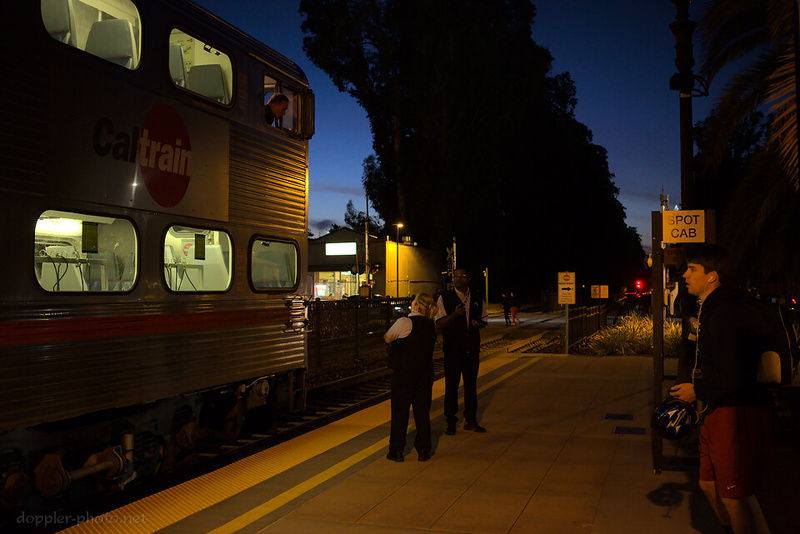 In subsequent research, I ran across this article from wnyc.org, in which a Caltrain engineer described it as being "rescued from the scene." The #289 departed, and then so did the #284. Then a second northbound train came and went before a southbound train finally arrived to effect our own somewhat less traumatic rescue. But the emotions surrounding these incidents are always peculiar and relatively incoherent. I imagine that this is an evening that I'll be pondering for awhile, yet.